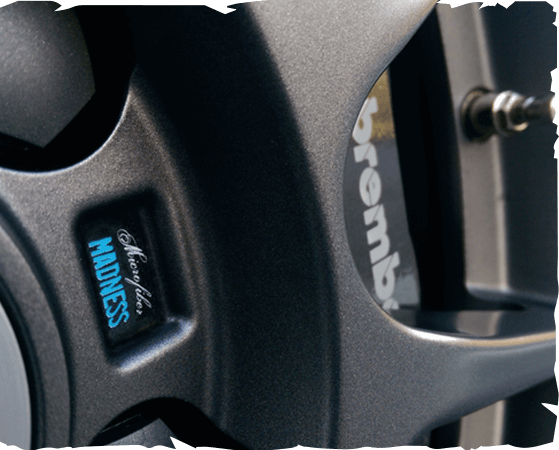 Because of the fast growing custom car scene, the importance of wheels has reached an all-time high. Custom wheel designs now regularly come on the market and customers pay almost any price to receive a real individual set of wheels. In some customizing scenes it is even common, to switch OEM wheels from very exclusive vehicles, like Italian sports cars, to normal sedans! But no matter if you are driving a car with factory or expensive aftermarket wheels, all of you have one thing in common: Dirty and stained wheels destroy even the shiniest view of your freshly detailed car! Because we at Microfiber Madness know that wheel cleaning is often a pain, we created unique tools to make this dirty job more pleasant for you.